Click the button below to add the Nutritive Herbal Gel With Vitamins to your wish list. Never place a gel filled with alcohol on your hair. It can dry hair out and deposit residue that builds up, leaving you with clogged follicles and unresponsive hair. Imagine using our Nutritive Herbal Gel that is filled with vitamins, protein and essential fatty acids to help maintain healthy hair. Our Nutritive Herbal Gel is made with the finest ingredients from nature and will help nourish and restore lifeless, limp hair without weighing it down. This gel is infused with aloe vera, peach kernel oil and avocado oil to repair and moisturize dry, damaged hair as well as provide frizz and humidity control. Men and women can use our Nutritive Herbal gel, it is color safe and does not contain any alcohol, parabens, silicones, or artificial coloring/fragrances. Filled with Peach Kernel, Avocado, and Buriti fruit oils, this gel restores damaged, dehydrated strands by controlling frizz and humidity. Soy protein adds protection against breakage while Panthenol Vitamin B5 boosts fullness. This lightweight gel provides a flake-free, flexible medium hold that adds volume for a flawless finish. Your hair will become soft, hydrated and full. Handmade fresh in the USA with ingredients that nourish your hair and scalp. Provides a flake-free, flexible medium hold that thickens and adds volume. An alcohol-free, silicone free and mineral oil free non-sticky gel that will keep your hair under control even in high humidity. This unisex gel is perfect for all hair lengths and types, provides a matte finish and shine. Enriched with Panthenol Vitamin B5 and Vitamin E which help strengthen and restore hair. Papaya is called, “The Fruit of the Angels.” Its leaves contain the papain enzyme and are a rich source of antioxidants about 20 times more potent than that of Vitamin E. It adds shine to dull, lifeless hair and softens coarse hair. 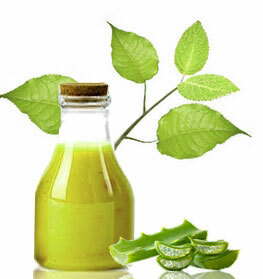 Aloe vera has been used to soothe the skin and heal wounds, condition your hair, moisturize hair and control frizz. Peach Kernel Oil improves hair health and texture. 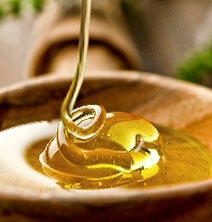 Regular use of this oil moisturizes hair strands and roots, making hair soft and shiny. Buriti Oil soothes dry and damaged hair, promoting elasticity and moisture in the hair and scalp. Avocado Oil is good for moisturizing dry, brittle and damaged hair. All of its nutrients are beneficial for hair growth and nourishment. Soy Protein promotes cell growth and regeneration. It helps repair damaged scalps and provides strength and shine to hair. Rub hands together and apply to wet or dry hair to detail, style and add shine. • Section your hair and apply a small amount of gel to hair. Sectioning the hair will make it easier for your hair to distribute the product. • Scrunch your hair to enhance the curl of the hair. • Let your hair air dry or use your blow dryer on the lowest setting to prevent damage. • Use a small amount of gel to style hair into a ponytail or bun. Aloe Barbadensis (Aloe Vera Hydrosol), Prunus Persica (Peach Kernel) Oil, Mauritia Flexuosa (Buriti) Oil, Persea Americana (Avocado) Oil, Carica Papaya (Papaya) Extract, Glycerin, Hydrolyzed Soy Protein, Dehydroxanthan Gum, Caprylyl Glycol, Glycerin, Commiphora Myrrha (Myrrh) Oil, Lavandula Angustifolia (Lavender) Oil, Rosmarinus Officinalis (Rosemary)Oil, Citrus Sinensis (Orange) Peel Oil, Glyceryl Caprylate, Rose Geranium (Geranium)Oil, Panthenol (Vitamin B5), Glyceryl Undecylenate, Tocopherol (Vitamin E). I have been using this nutritive hair gel with vitamins for years and just love it. When i want a little curl, i use this alone, other times i will combine with mousse for extra curl and hold. This gel doesn't leave a residue or build up. Even my husband likes it too for the hold. Recommend for light nutritive hold. Love this gel, it provides me with acceptable hold and smells nice too, but the reason I like it best is that it keeps my hair feeling soft and nutritive when I'm using the product. I never get that stiff or sticky feeling when I run my fingers through my hair with this wonderful nutritive gel. I have been using this nutritive gel for some time and very happy with it. My hair is so much healthier by using it. My hair is short and I like the way I am able to style with it. I do not feel that my hair looks or even feels like it has a gel in it. Try it you will like it! I have very fine but very thick hair and have been using this gel with vitamins for almost six months. Nothing I have used in the past has made my hair as manageable with being sticky except! It's been the only hair product I've used on a daily basis. This gel really does what it's supposed to. This product is amazing! My hair is shiny, fuller and just behaves better with this product. I usually add it with a dab of my leave in moisturizer and it works like a charm every time. The nice thing about this hair gel is that it doesn't dry out my hair or make it sticky, in fact it seems to add moisture to my hair, like an all day leave in treatment. Love the nutritive ingredients. I've used to be very against using gels for my curls as it would dry my hair out. My hair is colored with henna and I wanted to try a more natural alternative so I purchased this. I apply this gel to damp hair starting at my ends all the way to my roots. Once it dries, my hair feels soft, smooth and frizz-free. I love it for applying on my edges, flyaways, and ponytails. I have already bought a second bottle of this product. This gel has such nice soft hold. I have dyed my light brown hair to a darker brown and I need a gel to help withs shine and provide light hold when I put it back. I love how this gel has a light scent and does not leave my flyaways all over the place. My color looks better when I use this product in combination with my shine serum. The gel did not flake nor does it irritate my sensitive scalp. I love this gel! I mix it with my leave in conditioner for my dry unruly hair. I have colored treat hair that is coarse and straight. I love it for when I put it up in a bun, ponytail or nice updo. This gel will not leave your hair dry, crunchy or hard. I have to have this stuff. End of story. It’s perfect defines my curls and adds hold. And knowing their are vitamins in it and it’s non chemical is sweet. This is too thick and sticky for my fine hair. Would recommend it for thick hair only. This goes on nicely. It's not sticky and it doesn't set stiff. It makes my hair soft and keeps the frizzies away! I'm in love with this gel. I have Dreadlocks and I was looking for a gel that wouldn't leave build up and have my hair hard and crunchy but can still hold my locks in place! Well I found it! So happy that I decided to try the Nutritive Herbal Gel with Vitamins. Awesome product! Will continue to by. I love this gel for my naturally curly hair. It holds well without being too sticky or wet looking. Keeps the frizz at bay, and smells great! This is an excellent hair gel compared to all the other gels that I have purchased over the years and did not get results. It does not flake on my hair and it gives my hair a neat finish and calms the frizz. This is the best hair gel I have ever used. Not sticky or flaky on your hair. I have natural out of control semi curly hair and this gives me control back. Also my hair looks fuller and has more body. I'm in love with all Just Nutritive hair products. Can't say enough good things, but let's focus on this natural gel. My hair tends to have frizzy, unmanageable waves. But after I bought this product, this was a game changer. I love using gels in my hair when I want a longer tighter hold. & this gel does the job. This natural gel makes my unmanageable, frizzy hair look beautiful. Always complimented on my waves and curls.